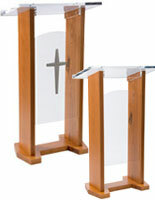 A plexiglass lectern, acrylic podium provides a speaking platform for a church or meeting room. 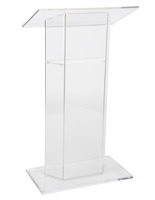 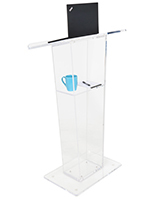 This acrylic podium has a contemporary look that exudes confidence with a high class design. 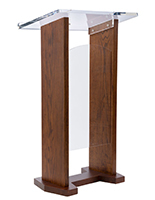 This acrylic podium, such as display furniture or clear plexiglass pulpit has (3) 1/2" thick upright panels for a dimensional look. 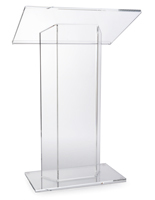 This acrylic podium, such as plexiglass lectern or clear pulpit has rubber feet under the base to prevent this acrylic podium from scratching floors while moving it around. 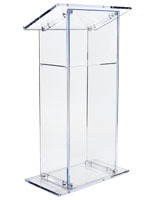 A plexiglass pulpit, acrylic podium is assembled with a clear bonding agent. 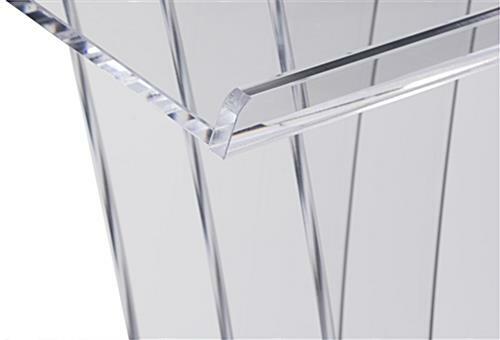 This bonding agent essentially molds pieces of acrylic together so that they become like 1 solid piece. 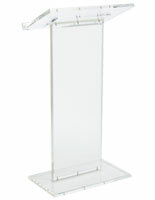 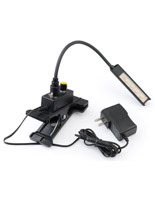 An acrylic podium can be ruined if this bonding is not done correctly. 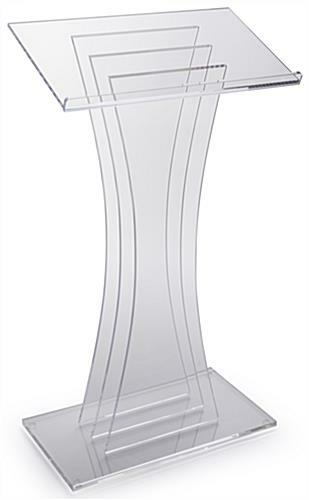 But being in business since 1974 & specializing in plexiglass furniture pieces, we are certainly one of the best in bonding clear acrylic in the furniture & display industry. 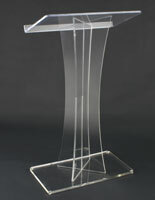 This is one of our first acrylic furniture pieces that we offered & it is still one of our best sellers! 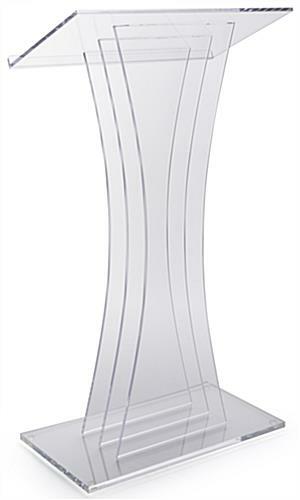 26.8" x 47.0" x 14.8"